Are you getting bored of growing the same fruits and veggies season after season? Our Central Texas climate limits the variety of things we can grow here, but we bet there are few plants that you just haven't thought of. See our list below for some fun ideas on plants you can try out in your new spring garden. Experiment with heirloom varieties of your usual garden staples. 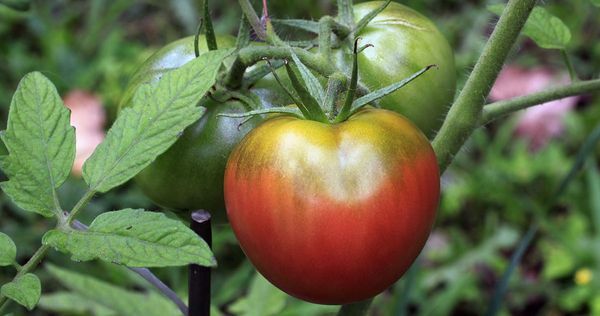 There are thousands of tomato species, and we are doing a disservice to our stomachs by only sticking to Romas and Cherries when a rainbow of other tomato species can grow just as well here in Central Texas. Varieties like Yellow Pear, Indigo Sun, and Cherokee Purple tomatoes run the gamut of colors, shapes, and flavors. The vined cages of your garden will be filled with sunset-inspired shades of yellow, orange and purple in no time! Take advantage of Texas’ bounty of native fruits in your spring garden planning. Shrubby berry bushes like Agarita, Blackberries, and Dewberries grow wild across Central Texas, so use their natural hardiness in our hot summer climate to grow tart, plump treats that are ready to harvest from mature plants by early summer. If you’re looking for an extra challenge, there are a wide range of edible native cacti that manage easily in the heat of Texas summers. 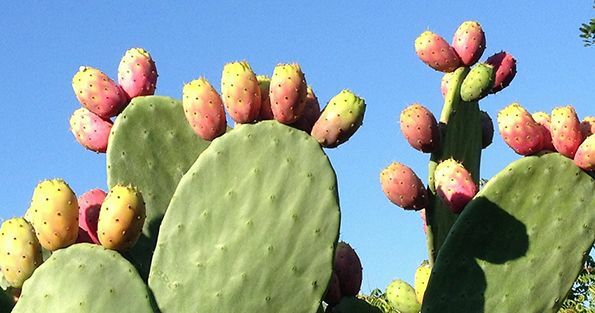 Prickly Pear cacti produce flat pads called nopales and fruits, known as tunas, both of which are edible. Don’t forget your gloves unless you’re growing a spineless prickly pear variety like Opuntia ficus-indica, a good choice for home gardens and folks that don’t want to be poked by their vegetables. This season, let your garden grow as high as your dreams for it! Tall-growing vegetables and grains like Okra, Amaranth, and Sunchokes can grow to heights of up to 10 feet. 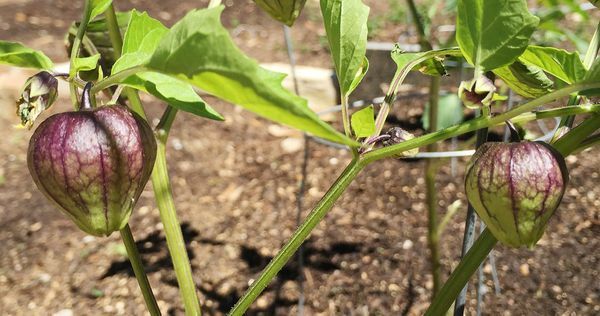 Plant tall crops on the north end of your garden to prevent them from shading shorter crops that require hot, afternoon sun exposure (or use the shade to your advantage and keep certain crops below cool). If you’re looking for an easy-going harvest, try okra or sunchokes. 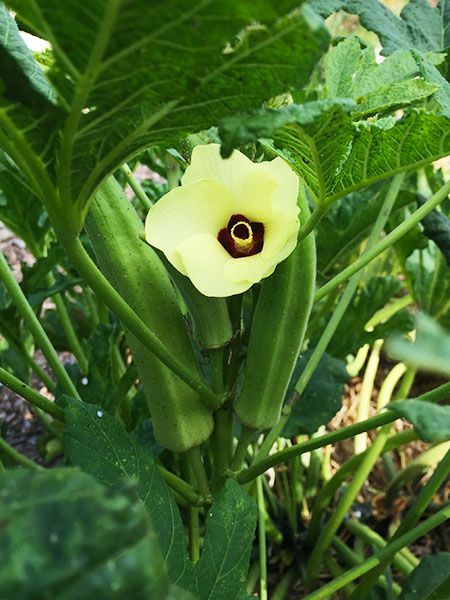 The okra plant will produce easily-picked pods within two months of planting, and the sunchokes can be left to grow until the fall season when their edible tubers are ready to be dug up. Amaranth grows on its own quite easily, but a labor-intensive harvest and drying process will be left to gardeners seeking a challenge. There are 975 species of cucurbits, and you’re only growing squash and zucchini?? If you already have trellises or other structures for growing vine-y plants, use the space this season to try out some strange looking fruits that will amaze your friends and neighbors. 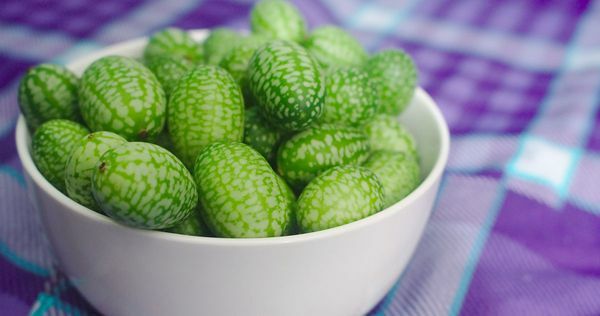 Cucamelons, which look like tiny watermelons, rarely make it to the kitchen because they make such good snacks while working in the garden. These tiny cucumber-cousins have a citrus tang and grow on delicate vines that weave easily amongst other gourd and melon species without cross-pollinating. The kiwano melon, bright yellow and covered in spikes, sure does make an impression in your garden. Also called African horned melon or jelly melon, kiwanos have a slimy green interior with a flavor described as a cross between a cucumber and a kiwi. The texture might be a turn-off for some but certainly a new and exciting experience for others. If you’re an established gardener you probably know by now that gratification is never instant in the fruit growing game. Those of you who have unparalleled patience and an eye toward the future can use this growing season to plan for a bounty that might not come to fruition (pun intended) for months or even years down the road. You’re in luck though! Your patio or back yard can easily be transformed into an orchard of potted fruit trees. Dwarf fruit trees like pomegranates, figs, peaches, loquats, and kumquats come to maturity around 3 years after they are established and grow well in the confines of a container or pot. Many of these species are self-fertile, so you only need one tree to ensure a good crop. Why wait any longer? Get yourself a tree and watch it grow!